The Canadian Association for Neuroscience is proud to announce that Dr. Stephanie L Borgland, from the Hotchkiss Brain Institute at the University of Calgary, is awarded a Young Investigator Award for 2014. She will receive her award during the opening ceremony at our upcoming annual meeting, on May 25 2014. Dr. Stephanie L Borgland studies the neuroscience behind aberrant motivation related to addiction and obesity. In our society, the level of public awareness on the health effects of obesity is ample enough that most people that become obese overeat despite the knowledge that the consequences will be harmful. Similarly, a key feature of drug addiction is the loss of inhibitory control over drug-seeking and taking despite negative consequences. The mechanisms in the brain underlying abnormally heightened motivation leading to obesity and addiction may be similar. Dr. Borgland, an addiction expert, and her research team focus on the neural mechanisms that underlie eating for reasons other than hunger. Dr. Borgland is internationally known for her innovative work in neuroscience and has made a number of significant contributions that have been published in top journals in neuroscience (including Nature Neuroscience, Neuron, The Journal of Neuroscience and Biological Psychiatry). 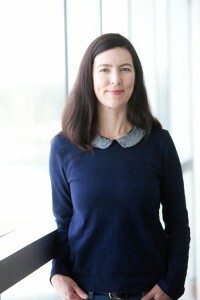 Her lab uses a combination of techniques to explore how areas of the brain involved in evaluating reward and motivating behaviour are rewired by consumption of high fat foods. The laboratory has made exciting discoveries on how peptides that signal satiety, such as insulin and leptin, modulate dopamine neurons involved in reinforcement and motivation. This understanding is of key importance to determining the neurobiological factors underlying the promotion and the termination of eating.